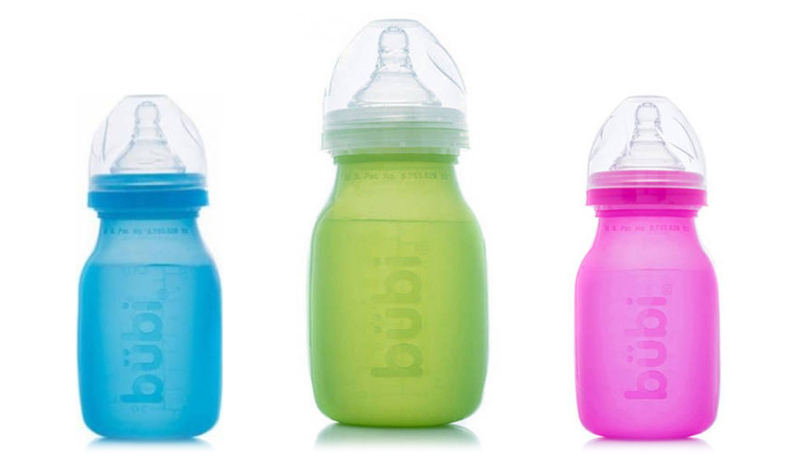 BPA Free Reusable Collapsible Silicone Water Bottles: Meet bubi bottles! Introducing our revolutionary reusable BPA-free, flexible, and microbial-free water bottles. They are light, foldable, and resistant to heat and cold. They provide multiple uses for camping, outdoors, traveling, gym, and sports. These unique bottles not only hold water, but also are microwave, oven, and freezer safe. They are also great for storing and warming up liquid meals. Even good for feeding babies! The bubi bottle is the only bottle that can be used as a medical aide (hot or cold compress) and can store bandages to stay dry. It can be used as a pillow when traveling or sleeping on the ground. 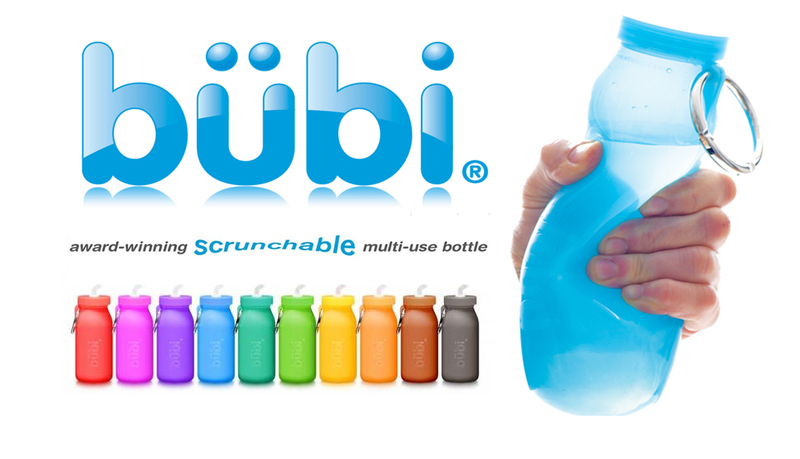 The bubi bottle also works great during cold winters. Place it over a fire (yes, fire! ), heat up some water and place it in your sleeping bag or under your coat and stay warm for the day! • BPA & Microbial free so it’s safe for kids! This product is uniquely developed for parents and babies. It’s convenient, safe for children, BPA and microbial-free, soft, collapsible, scrunchable, heat and cold resistant. It doesn't need air to flow, so your baby inhales less air and has less need for burping. It is also the only bottle you can turn inside out to wash. This bottle is safe, soft to the touch and flexible. 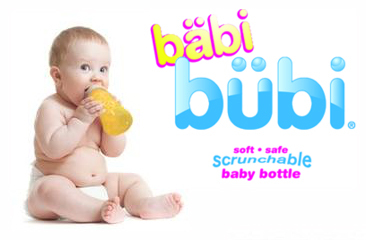 bäbi bubi bottle helps the baby sleep and be more comfortable. Also, the bottle feels closer to the warmth and softness if you are breast feeding and need some time to run errands.Stows conveniently in purses or diaper bags, and folds flat to save room for the active new family.